On July 19, 2018, Breitbart News reported that Seattle was implementing a new control to require gun owners to place their guns in a “locked container” inside their homes. 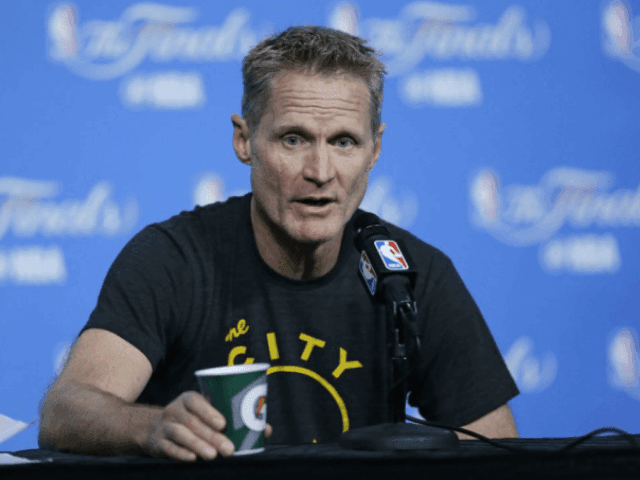 Kerr is tweeting support for Seattle’s gun control measure and tweeting messages against the NRA’s suit against the gun control. Following the June 12, 2016, Orlando Pulse attack, the East Bay Times quoted Kerr criticizing Congress for not banning the sale of “automatic weapons.” But the Orlando attacker did not use “automatic weapons.” Rather, he used a handgun and a commonly owned semiautomatic rifle. He passed a background check for both and passed a three-day waiting period for the handgun. The suit brought by the NRA and Second Amendment Foundation is OMAR ABDUL ALIM, an individual; MICHAEL THYNG, an individual; THE SECOND AMENDMENT FOUNDATION, INC., a Washington non-profit corporation; and NATIONAL RIFLE ASSOCIATION OF AMERICA, INC.; a New York non-profit association v. CITY OF SEATTLE, a municipality; JENNY DURKAN, Mayor of the City of Seattle, in her official capacity; SEATTLE POLICE DEPARTMENT, a department of the City of Seattle; and CARMEN BEST, Chief of Police, in her official capacity. (Docket No. 18-2-18114-3 SEA).